adidas and Pusha T have something new in the works for this Summer. 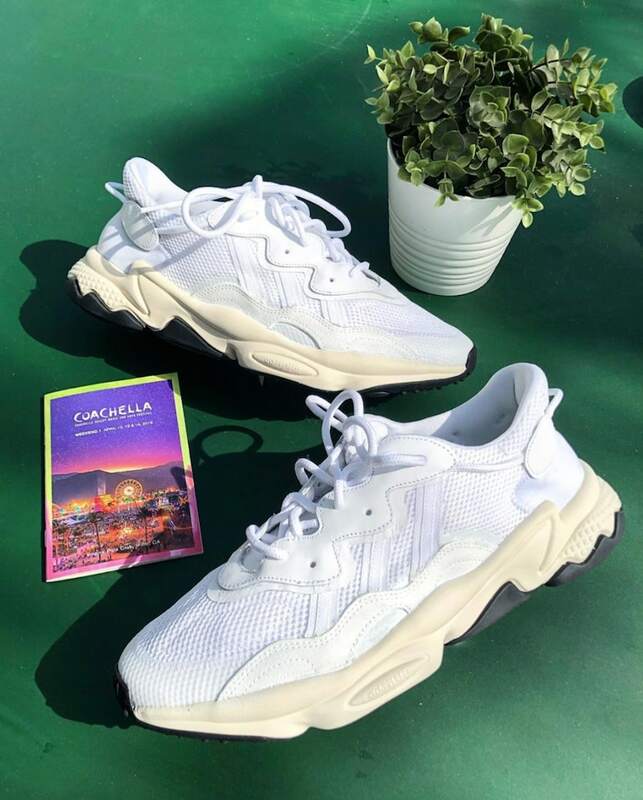 During the Virginia artist’s Coachella set, he was spotted rocking an unseen pair of the to-be-released adidas Ozweego, which he later teased via his Instagram. Pusha T’s last adidas project was released back in November of 2018. At the time, the EQT Cushion 2 was an archived silhouette, beloved by fans of the recently revived 90s franchise despite its long hiatus from retail shelves. Then, as a part of the Three Stripes’ ComplexCon releases, King Push’s premium take was released in a small batch of just 40 pairs. While some expected a larger retail release of those EQTs, it appears that adidas and Push are moving on to another reworked classic, the upcoming Ozweego. Pusha T’s new adidas Ozweego, nicknamed Nose Candy Mandy by the rapper himself, appears to take inspiration from his previous releases. The mesh base and leather overlays of the upper come in a snow white colorway, similar to the Friends & Family EQT Support 91/18n from last year, while the cream white from his very first EQT Guidance is applied to the reworked Ozweego midsole tooling. The outsole comes in jet black, echoing the tone of his second EQT Guidance titled the “Black Market”. Pusha T’s latest project with adidas has not yet been given an official release date, though we expect them to release sometime this Summer, likely as part of the new Ozweego’s debut. We can expect this special pair to carry an elevated retail price tag from the standard version, and release from both adidas and select retailers. Check out King Push’s teaser below, and stay tuned to JustFreshKicks for more adidas release news. The post Pusha T Debuts His Own adidas Ozweego During a Coachella Set appeared first on JustFreshKicks.